5:00pm: All athletes must have completed their practice swim by this time. 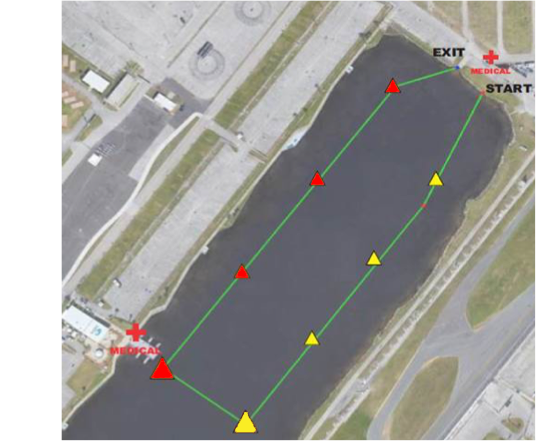 Safety meeting: A safety meeting for all participants will take place by the entrance ramp at 6:15 am EST both Saturday and Sunday mornings. Course and safety information will be reviewed at that time. Swim Start: We will have a rolling start for all athletes. Athletes will arrange themselves in corrals based on the time they think they will complete the swim in. Athletes will participate in the rolling start entering the swim course two at time. All athletes will enter the swim by walking down the ramp and into the water for swim start. 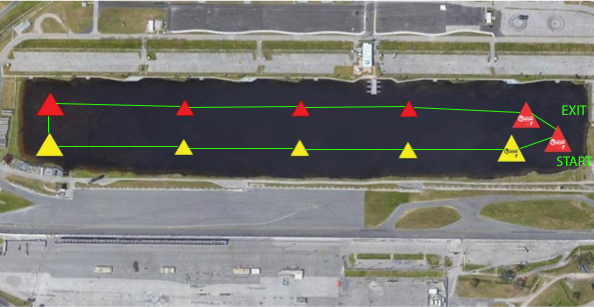 *Please note, each athlete’s race time will not start until they cross over the top of the ramp as they enter the water.